The Christchurch Fusee Chain Gang is a detailed study of poverty, survival and bygone trades. With major new discoveries about the watch industry, and the characters that inhabited the small town of Christchurch in Dorset, Sue Newman explores the significance of watch making and other cottage industries that helped to keep the people of Christchurch out of the clutches of poverty. Have you ever wondered who invented the first clock or where the idea for watches came from? If so, this is the book for you. Sue Newman explores various explanations for the origin of the invention of the first clock, an accolade that is often attributed to a Pope named Gerbert in 920AD. 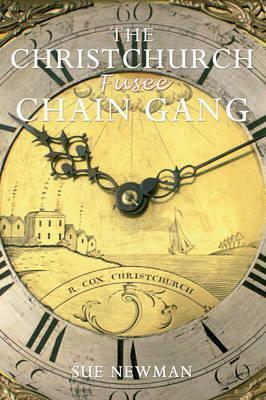 The Christchurch Fusee Chain Gang charts the story of the increasing miniaturization of clocks which eventually transformed into watches and explores the significance of the fuse chain and what this industry meant to the inhabitants of Christchurch.